"I may be wrong, but at least I am not confused." Jeff Miller, former CEO of Documentum, repeats this point whenever he has a chance. He strikes a chord. A leader, above all, must point the way. Better to be pointed the wrong way than to be left aimless. After all, going the wrong way, your error will eventually become evident. Aimlessness is probably wrong too, but is harder to correct. If leadership is anything, it is about pointing the way. But pointing the way is difficult. Organizations face conflicting demands: marketing reports on a new competitor with a dramatically different product; R&D has created a breakthrough technology, but it is behind schedule and needs more funding; legal compliance is at odds with the company's China country head, whose "entrepreneurial" actions are ramping up sales there. 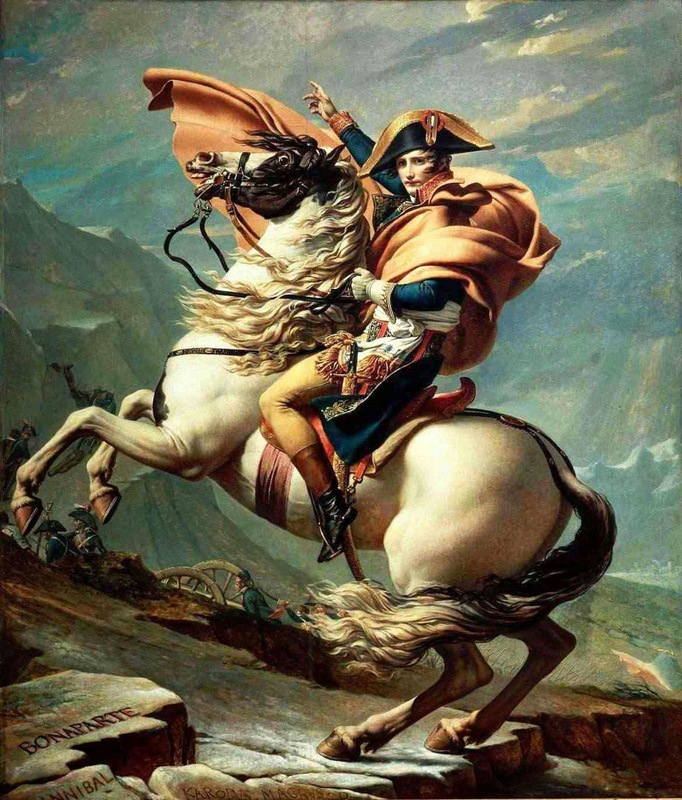 Leadership can seem so simple when portrayed as pointing to the top of a hill. In practice, leadership is about deciding amid sharply conflicting priorities. For that you need a strategy. "Bill says you need a strategy." Obvious. But you would be surprised at how many companies I see that do not have direction. The problem? Let's call it strategy neglect. Meaningful strategy gives direction; you know you suffer from strategy neglect when people in your organization don't know how to resolve conflicting priorities. I'm not talking grand mission statements about changing the world, nor lengthy strategic plans packed with detail. I'm talking about a working definition of the company's goal, what it does, and how it does it - a logic that a rank-and-file employee can put into action. Maybe I finish my project a day late because our strategy depends on completing work to perfection. Or maybe I cut some corners to be on time because we're about time-to-market. Whatever the strategy, it needs to be alive in the day-to-day actions of employees. Otherwise, as in so many companies, we are left confused. Worse yet, leaders often think they are providing direction even when they are not. Instead, they provide formal structure. Social scientists have documented that when faced with confusion, people will often turn to "formal" or "procedural" rationality - making sure we do things in a structured, appropriate way. This often means putting an organizational structure in place. We've been doing this for millennia. 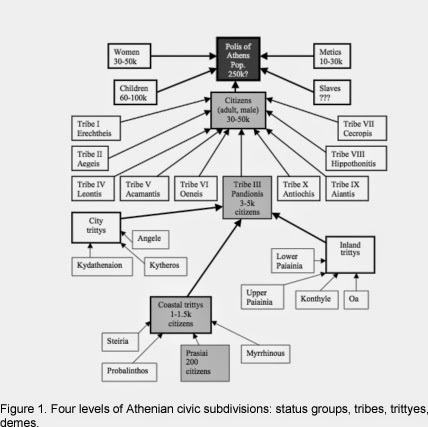 Historian Josh Ober documents a formal structure created under Cleisthenes in ancient Greece (see figure) - rationalizing the various tribes of Athens into an elaborate hierarchical structure. Of course, modern business leaders do this routinely. Confused? Let's have some structure. Here is the rub. Structure alone does not clear up confusion. Structure makes plain the contradictions we face. You still need strategy to help you resolve those contradictions. When we put in place structure without strategy, we can end up increasing confusion. Take this example, kept anonymous to protect my sources. A global technology firm recently acquired another, smaller technology firm here in silicon valley. The parent company is based on another continent and has operations worldwide, often tailored to particular countries; they have complicated products, and they offer valuable services. They pay smart consultants who help them with their (voluminous) strategic plans. They have a very clear organizational structure. Yet their people are confused. Why? Ask them and they will tell you that they operate in a 3-dimensional matrix structure. Each middle manager reports equally to a country head, a product head, and a service head - in a business where these three imperatives rarely line up. The result? Making it into management in this firm means being stuck between 3 bosses who can't agree. Like a child caught up in a polygamous divorce, make any one boss happy and you have a serious problem with the other two. 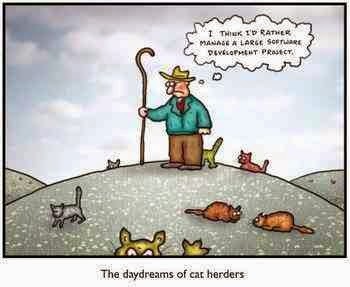 I asked one particularly talented manager what he was going to do. The reply: "I'm counting the days for my options to vest." Should we blame the matrix? Not so fast. Remember, this firm faces imperatives from location and product and services. Somehow decisions have to consider all three. That's why they created their matrix. But the structure is only half the solution. Leadership still needs to point the way, to give middle managers a guide to resolve the contradictions revealed by the matrix. The problem here is not the matrix structure, it is the lack of strategic direction. Having three bosses confronts you with many choices, but it does not give you direction. Right, left, or middle? To make that choice well, you need a strategy: Not just a planning document on the shelf, but a strategy that lives in the priorities you rank every day. Don't blame the structure. Set a course to follow. You may be wrong, but at least you will not be confused. A good overview of strategy as a guide to action, and misuses of strategy, is by Richard Rumelt.